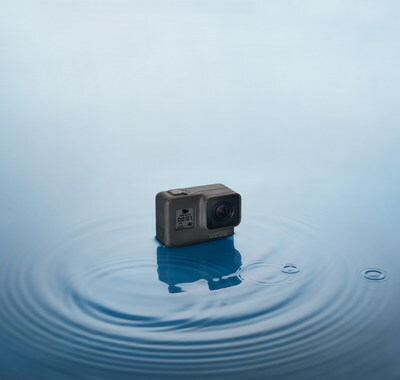 GoPro Launches Entry-Level HERO Camera For $199 | GoPro Inc.
SAN MATEO, Calif., March 29, 2018 /PRNewswire/ -- GoPro, Inc. (NASDAQ: GPRO) has added a new HERO camera to the family. On sale now, HERO is a $199, go-anywhere, capture-anything camera that makes it easy to share experiences that would be difficult to capture with a phone. To learn more about the entire GoPro lineup including the $399 HERO6, $299 HERO5, $199 HERO and $699 Fusion 360-camera, visit GoPro.com. To see our new video announcing HERO, visit our news page. GoPro helps the world celebrate and share itself in immersive and exciting ways. For more information, visit www.gopro.com. GoPro users can submit their photos, raw clips and video edits to GoPro Awards for social stoke, GoPro gear and cash prizes. Learn more at www.gopro.com/awards. Connect with GoPro on Facebook, Instagram, LinkedIn, Pinterest, Twitter, YouTube, and GoPro's blog The Inside Line.